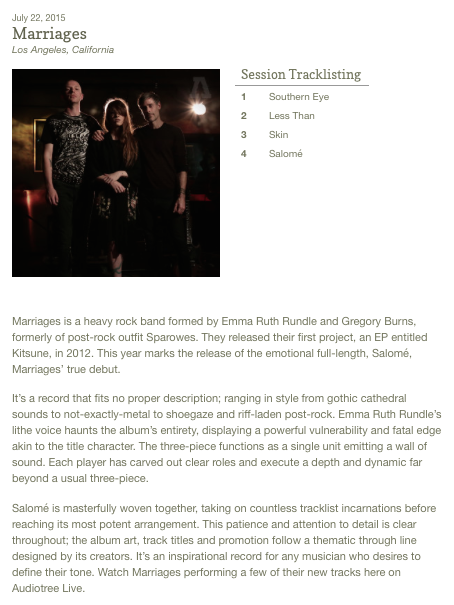 The first thing one notices about the full-length debut album by Marriages, Salome, is its sense of space. Like pulling open a dark window shade mid-flight, we're abruptly presented with a crystalline brightness setting the tone from the outset, signifying an evolution from the somewhat insular buzz of 2012 debut EP, Kitsune. The second thing is that, unlike the stream-of-consciousness approach which found each track on Kitsune nebulously flowing into the next, Salome is comprised of concise songs, each one a light that flickers into existence, burns with magnificent intensity, and then expires. 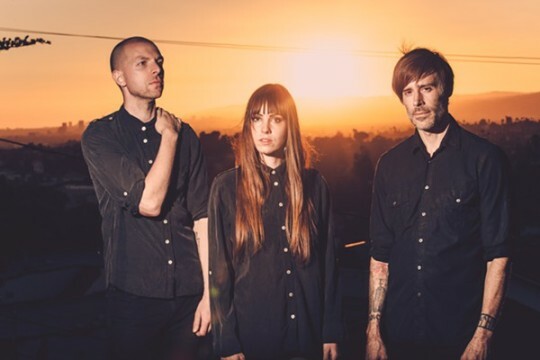 The Los Angeles-based trio first began in 2011 as a collaborative effort between former Red Sparowes members Emma Ruth Rundle (guitar, vocals) and Greg Burns (bass, keyboards). Showcasing Rundle's exceptional playing more vividly than the dense architecture of the Sparowes could allow, Marriages' departure from purely instrumental rock, too, helped bring her to the forefront, revealing a voice equally fragile and ferocious. 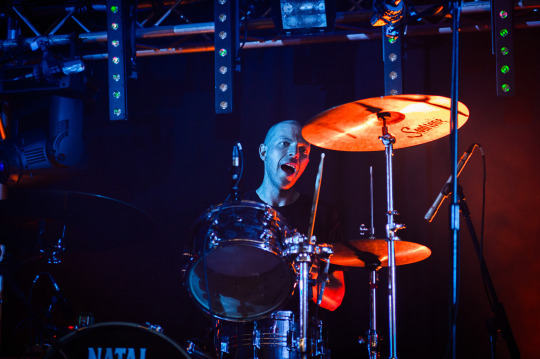 Enlisting Sparowes drummer Dave Clifford, they recorded Kitsune, released on Sargent House in 2012. 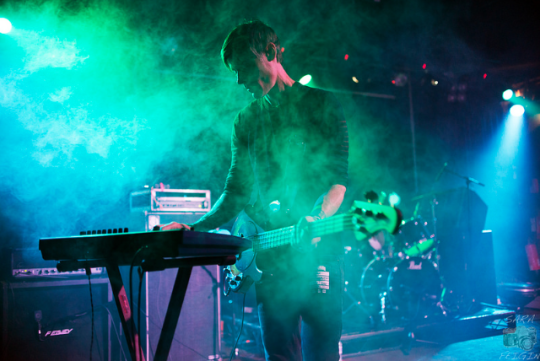 Subsequent touring with Russian Circles, Deafheaven and others honed their vision while introducing the band to a broad cross-section of heavy music fans. 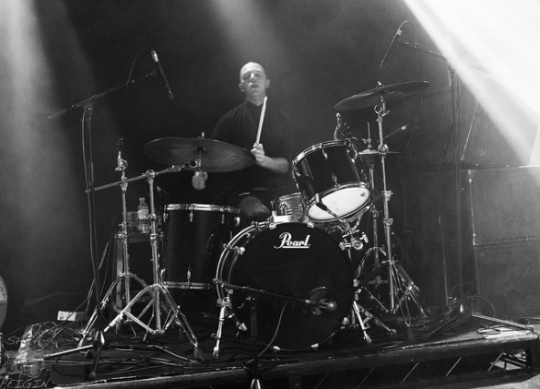 Full time drummer Andrew Clinco completed the equation in late 2012, the final component in Marriages' frequently epic postpunk-by-way-of-stoner-rock sound. While the group busied themselves writing the songs that would become Salome, Rundle issued solo album Some Heavy Ocean in early 2014, earning praise from the likes of Pitchfork, NPR, etc. Promoting that record found her touring the US as direct support to King Buzzo of the Melvins, immediately after which Marriages set out on tour once more, this time with the legendary Boris. Back in Los Angeles, Marriages spent the end of 2014 completing Salome, a timeless 9-song monolith of a debut LP. Propulsive, frequently iridescent, the compositions on Salomeare confident and evocative, the sound of a band focusing their strengths to great effect. Nowhere is this focus more evident than on opening track, “The Liar”. Frontwoman Rundle wastes no time settling into a haunting earworm of a riff, before unleashing a moody tangle of slides and reverb. Her breathy voice, veiled in subtle effects, elicits irresistible curiosity; though it may not always be clear what she's saying, there's undeniably something to the way she's saying it. Bubbling just under the surface is the overdriven bass of fellow Sparowes alum Greg Burns, who conjures a menacing rumble from his instrument in glorious contrast to the glassy needles of Rundle's wailing guitar. New addition Clinco, whose formidable presence appears largely responsible for the kinetic reconfiguration of the band's sound, functions as both an anchor and a jostling wave, holding it all together with precision while he rattles his cage. Second track, “Skin”, is perhaps even more infectious, to the point where becoming engulfed in the emotional tide of the song is simply unavoidable. Its indelible chorus is one of the album's most iconic passages. Here, especially, Marriages wear their influences on their sleeves, a convincing amalgamation of mid-eighties postpunk (Cocteau Twins, The Cure, etc.) and what ought to be called poststonermetal. 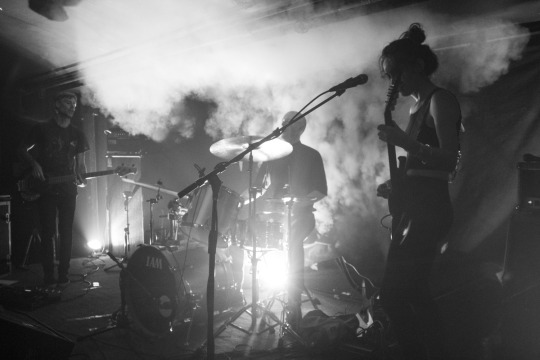 Their shoegaze aesthetic combined with Rundle’s crushing riffs make Marriages unique among their contemporaries. 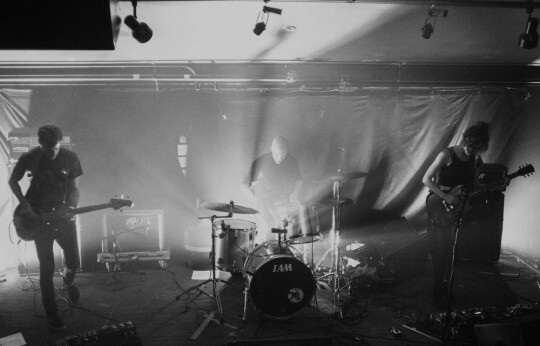 The tumbling urgency of “Southern Eye” could fit comfortably on Echo and the Bunnymen's Heaven Up Here yet somehow sits squarely within the realm of Sargent House labelmates Russian Circles. Elsewhere, Marriages toy with a pop approach before invariably releasing a torrent of cascading noise, though never enough to bury the hook they've so cleverly constructed. Title track “Salome” is the album’s centerpiece. An ominous, otherworldly swell of emotional waxing and waning, it finds Rundle at her most vulnerable, strokes of Kate Bush and Sinead O’Connor writ large over a canvas of brooding, fuzz-pedal density. Comparatively subdued, though by no means anemic, “Contender” closes the album on a tentative note, its unresolved final chord a sobering wake-up suddenly casting doubt on the probability of the previous 43 minutes. Our label Sargent House is having a holiday sale on all 2015 Album Artists. Visit our Hello Merch store to save 20% off all Bundles and CDs and 15% off all vinyl. Get these discounts on Salome or Kitsune. This sale ends December 21st and is good at the North American online store ONLY. 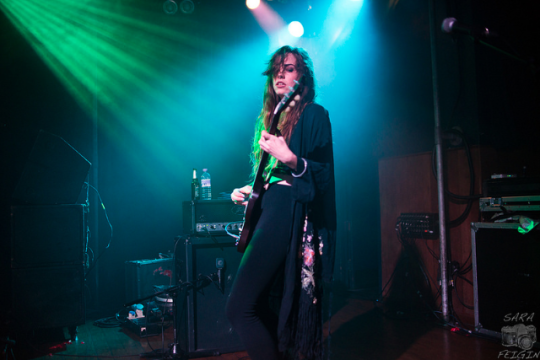 ...Emma Ruth Rundle, clad in an elegant black dress, took the stage and through a simple and minimal setup of a microphone, guitar and pedalboard, she successfully held the entire room captive with a tender singing voice and melancholic guitar play. While she tuned her guitar between songs, she filled silences with ambient loops and samples. 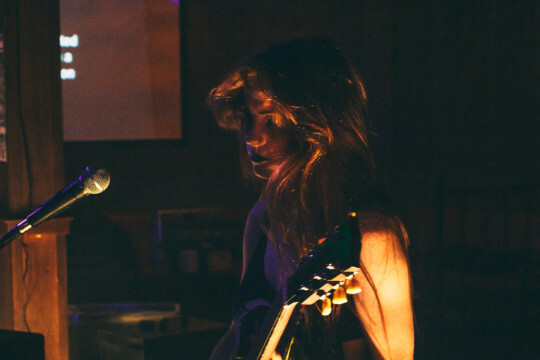 ‘Shadows Of My Name’ off of her 2014 full-length Sargent House Records release ‘Some Heavy Ocean’ is one of the simplest yet most captivating musical compositions I have come across in recent years, and it was also the highlight of this set as Emma Ruth Rundle strummed on the guitar with added intensity and vocally broke out of the tenderness to hit soaring highs. 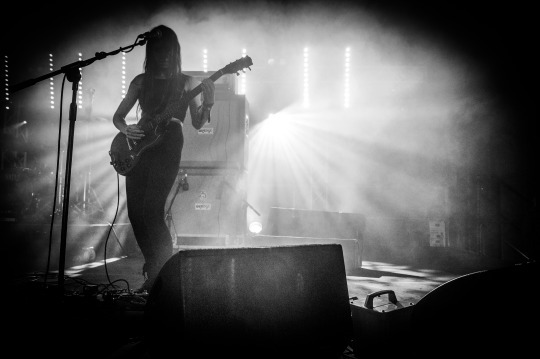 Another notable segment of her set was when she was joined by Alcest frontman Neige, as he walked onto the stage with no prior announcement or introduction by her, and garnered a huge cheer from a pleasantly surprised audience as a result. Emma Ruth Rundle’s music is not hard rock or heavy metal, and many, including the artist, might wonder why she is being written about on this site, but there is no denying that her dark, melancholic musical expression is akin to that of some variants of heavy metal, and is more engaging and powerful than a lot of things that do get categorized as metal. Fans of latter-years Alcest, and the post/atmospheric/ambient/progressive rock realm in general, would find Emma Ruth Rundle’s artistry worthwhile, and ticket holders of the remaining shows on this tour are strongly encouraged to turn up early enough to watch her set. 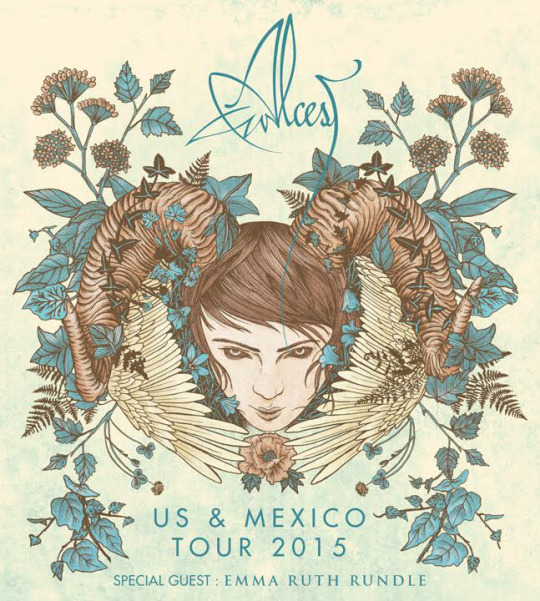 Emma Ruth Rundle is on tour now with Alcest. Make sure not to miss this great lineup. See all show ticket details below. Two weeks after I started interning at Sargent House, I was sent on a full US tour with Marriages. For someone who is not a musician and has never been on the road in this capacity, this was a totally new experience. On tour you'd expect to make a million new friends in every city but the ones I got the closest to were those I was trapped in a van with for a month straight. Before leaving, I had never even met anyone in either band, so it was a really nice surprise to discover that they were some of the most genuine and nicest people I’d ever met. They each have their own strong personalities (which tended at times to clash), but the passion and dedication put into their music creates an undeniable and necessary bond between them. We had our fair share of mechanical and van problems along the way, but even popping a tire fifteen minutes from the venue proves that while most things were out of our control, at least everyone stuffed in the van was going through it all together. Marriages (featuring ex-members of post-rock group Red Sparrowes), are yet another great find. Tender and hypnotic vocals from their singer Emma Ruth Rundle, lie tastefully on top of delayed and eerie guitar, where the focus is on the texture and overall feel of the song rather than on non-stop riffage. I’m watching Marriages a fair distance away from the stage, and I find that I’m enjoying them far more with my eyes closed – happy to be led into the imaginative sound-world that they create. An acquaintance who is watching them with me is such a convert that he immediately buys Marriages’ latest album, Salome, from the adjacent merch stand. to readfull article // reviews click HERE. 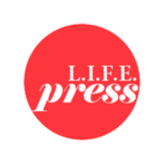 L.I.F.E. Press: So you and Emma were in another band together before Marriages, right? Greg Burns: We were. We were in a band called Red Sparowes but Sparowes is on a bit of a hiatus now. She played on the last Red Sparowes record and she was in the band for several years, but now we have Marriages. LP: The instrumentals in the two bands have a similar feel, what made you guys decide to branch off and do something where you’ve incorporated vocals? GB: We just really wanted to do something that was different than Red Sparowes that was a big part of it. 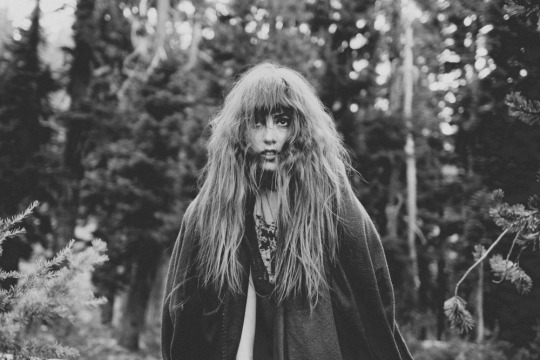 On Kitsune, the first record, the vocals were more of a texture or an instrument in a way. On Salome they’re more prominent, but that was just the evolution of the band. We didn’t just want to have another instrumental band because we felt it would be too similar to Red Sparowes. We consciously wanted to have shorter more concise songs, and we wanted to do something that stood apart from Red Sparowes. LP: On the topic of the vocals being more of a texture; what made you guys decide on Salome to put the vocals at more of the forefront of the songs? GB: It was kind of just an evolution of the band. I think it just happened naturally when we writing the songs that it became more vocal centric. We didn’t decide until we were mixing the record to push the vocals up to the front. It wasn’t an explicit decision that we made, it just kind of happened. LP: Since Salome is a bit different from Kitsune, how’s the response been while you’ve been touring since Salome was released in April? GB: We’ve done a lot of touring on it now. We went to Europe with Wovenhands and that was amazing. The reception was really good, we were excited to see that people knew the songs and were singing the lyrics and stuff that was cool. We headlined The States, that’s the first time we did a headlining tour there, and it was good. The turn out in some places was better than others the cities were great. There were some really great stand out shows, like New York and Austin were especially good. In L.A. we had a lot of fun. We’ve started mixing it up, it’s important to us to really push ourselves in a lot of different ways including the performance aspect of it. About halfway through we started changing the configuration of where our instruments are set up and we would play on the floor sometimes and just anything to just sort of keep it fresh and stop it from being the same repetitive thing. The tour was awesome and we played Arctangent a couple of days ago and that was a really amazing experience. LP: With Arctangent Festival, which has only been around for 3 years now, was it exciting to play something that’s so new and genre specific? GB: It’s different from a lot of festivals in that it is very specific in terms of the music that they host. The things I thought were great about the festival were being new [as a band] and there were a lot of Sargent House (their record label) bands’ there, it was like a big kind of family thing going on there and a lot of friends were there, and it wasn’t so massive that you weren’t able to connect with people. 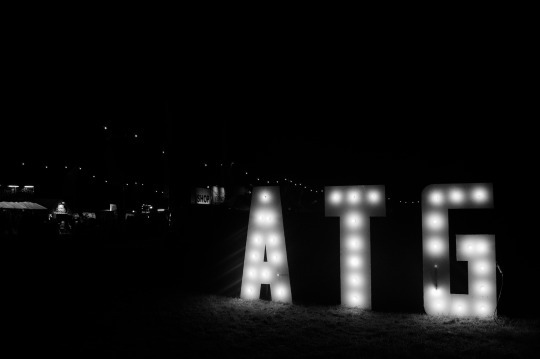 It was cool to be able to hang out with everybody, including the people at the festival because at a lot of Festival’s there is an artist area that people never leave, but at Arctangent that sort of existed but it was far away from everything, so it was easier to just be at the festival. Which was very cool because it was cool to talk to people and actually be there and enjoy it. As far as the genre thing goes, I have mixed feelings about that, I do like it, because what happens is people there will go and see every band that’s playing, and they’re just committed to even checking out bands they’ve never heard of. At bigger Festivals though they’re there to see the three bands they love and maybe they’ll go check other stuff out, so it’s cool that people there just really love the music. But on the other hand, I do personally like when Festivals have a variety because I think it exposes bands to a kind of audience they would normally get exposure to. But Arctangent is a very special thing and I think what they’re doing is really very cool. LP: So listening to your music, it feels like more than just an average band, it feels a bit like listening to an art piece. I get the vibe that I could like see you guys perform as an art instillation. Was that a thing you were going for, or am I just projecting my views on your music? GB: Yea, I mean not in those terms, but I think that we try and do a lot outside of just playing music. We do try in our performance to do things that are different, more in the way that we engage with each other when we play, it’s more of a personal experience that we try and bring people into, as opposed to bands that get out on stage, face out to the crowd, and play their songs. In other cases we will set up on the floor we’ll put the drums at the front of the stage, because there’s something that happens playing music that it’s very easy to get into this routine playing songs where it’s a) it’s no longer that fun [for me] and b) there’s no real variation so it becomes static in a way that defeats the purpose of playing live, at least for us. That’s one thing, and another thing is we are all artists outside of the band, what we try and do is make a statement through our artwork which is on the record and also that we put out into the world that we’ll usually sell at shows. Lots of times Emma will sell art prints and I’ll sell photographs, so the whole thing is about an expression is about both visual art and the music itself and the performance. Sometimes I think we totally fail at doing that and we’re just a band on stage, and other times I think it really works, and it’s a much bigger experience. But I really appreciate you saying that, I’m glad you get that from the music because it’s sort of what we’re after. LP: So there were a couple years between the release of the first album and your second album, did you plan to take your time with the second album? GB: No, there were a lot of challenges with the record; it took a year to even actually record it. We had some pretty big problems with the engineering itself and the studio, just a lot of logistical problems in that way. I’ve never had an album take a year to record, so that was really frustrating for us. And then writing the record took longer than we wanted, but that partly was because there were other things going on for people. My daughter had been born, and Emma’s solo project was taking off, she had put a record out and was touring. But the most that we really would want between records would be just a couple of years. So we weren’t really happy with the time break between records, and we’re going to do everything we can to avoid that in the future. LP: This London show seems to be your last scheduled show of the year, do you have any other plans for the band for the rest of the year? GB: Not for Marriages no. Emma is going on tour with Alcest and Andrew has a solo project called Drab Majesty, and he’s about to tour with King Dude. Yea so I think the next thing that’s going to happen with Marriages is probably in several months we’re going to start writing the next record. And obviously if any opportunities come up we’re going to take them, but I think we plan to just concentrate on writing the next record. LP: So I don’t think I have any questions left for you. Do you have anything else you’d like to say out to the world? GB: I appreciate your time and your interest, and I just feel really grateful to be able to tour and write music and that we capture people’s interest just means a lot, so thank you. As part of a special Part Time Punks, LA dark-rockers Marriages and Philly’s grunge-gazers Creepoid destroyed the Los Globos downstairs with a pair of blistering sets. When we caught Marriages back in July, it was in broad daylight. We told ourselves that the next time would have to be in the dark of a club because their sound is meant for it. 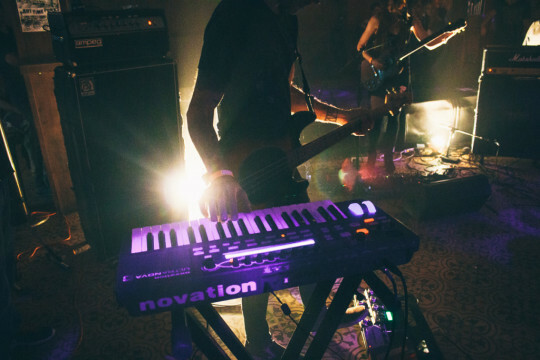 This time around at Los Globos, the trio eschewed the stage for the floor setting up their gear facing each other at three points in a triangular fashion, appearing almost ritualistic. With the stage lights removed, all that lit up the main space were two work lamps laying on the floor between equipment. 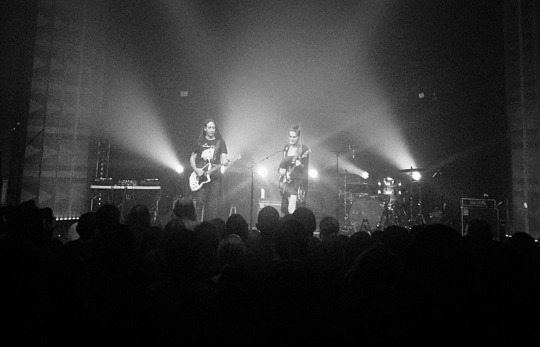 Wasting no time, Emma Ruth Rundle’s gloomy guitar quickly bursted throughout the room. Amidst sharp, searing riffs cutting through her haunting vocals was bassist Greg Burns’ fuzzed reverb frenzy and drummer Andrew Clinco’s heavy beat. Seeing them play songs from their new album Salome (Sargent House)—a dark, post-rock gem released this spring—it was as if a new dark expanse had opened up and swallowed us whole. Read more + see all photos HERE. Multi-instrumentalist and composer Emma Ruth Rundle is in a mood. It may change in the span of a heartbeat or two, but it's never far from something like a storm-clouded beach with a single seagull circling, perhaps screaming. There may or may not be a carcass involved. Or a brooding flock of carnal impulses. "I think everyone will agree that my particular moods are highly changeable," Rundle said, edgily, with her band members apparently overhearing her phone interview. She's speaking, specifically, of the way she interprets songs onstage. "Any given performance, there are lots of variables and logistical problems," she continues, covering most of what can go wrong with gear, sound, lighting and any other detail that may affect the artist's focus or the fans' reception. It's the kind of attention to detail that makes the difference between a mere talent and one bound for a successful career. "Sometimes it's cathartic," she says. "Playing the instrument and in a state of not having to think about actualizing the performance aspect can coalesce into a successful performance—all demons exorcised." Rundle used to be a lot quieter about it. "I'd been very shy my whole life, never identified as a front person, didn't feel comfortable having a spotlight on me, never made it out of the music scene in L.A.," she says. Still, she'd carved out her intentions with an education in music-making, sound and art at the renowned California Institute of the Arts. Rundle eased into the new-millennial Los Angeles post-rock scene at the experimental end of shoegaze folk. 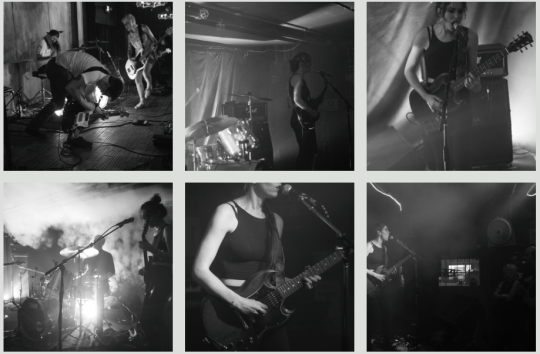 Her own project, The Nocturnes, made largish waves in the local soup with its addition of goth flavors. But it was in L.A.'s Red Sparowes that Rundle began generating serious heat. With the confidence she was gaining Rundle began to grow into her own talent and clarify her vision for it. Some Heavy Ocean, her 2014 solo project for L.A.'s respected Sargent House label, spoke for her definitively, exploring stretch feats in her vocal expression and particularly in her guitar range, from nuanced to explosive. Meanwhile, though, she had formed the band Marriages with fellow Red Sparowes alum Greg Burns. The duo later added drummer Andrew Clinco. In that project's 2015 release, Salome, Rundle's voice and guitar work are intentionally mixed down so that all the parts have equal importance, all members of the team. The songs on Salome don't explicitly report on the famous seductress' life and times, but they may reflect the complexity of Salome's circumstances, and, she admits, those of Rundle, herself. "My life is not rainbows. None of this is story. The goal is to perform and not to act. The goal is to be present with the material and the music and the moment that you're making it. All of the emotion of that is all about things that happened in and around making that record. I don't know how to tell a story that isn't based in reality." It's nonetheless a great story. Time Out London just called Salome one of the 25 best albums so far in this year that's seen releases from Blur, Sleater-Kinney and Sufjan Stevens among much more predictable company. And not a drop of blood was shed. Marriages - Audiotree Live from Audiotree Live on Vimeo. Check out the full live session of Marriages courtesy of Audiotree Live + don’t miss Marriages on their North American headlining summer tour w/ creepoid on the remaining dates before they head to the UK for ArcTanGent Festival and supporting Deafheaven’s UK performance at the Scala in London. For all show//ticket details click HERE. Videos from Marriages’ Audiotree Live session are now up as individual tracks on YouTube - watch them all in the playlist above, or view the entire session, including interviews, HERE. 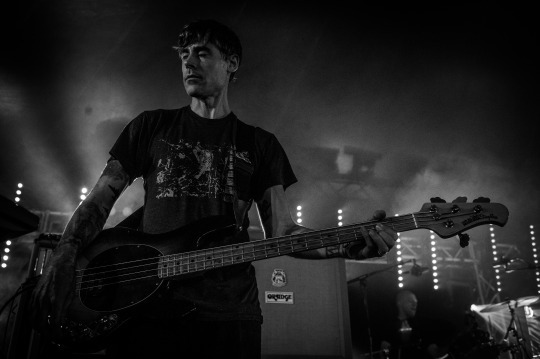 Marriages have more US tour dates with Creepoid before heading to the UK to play ArcTanGent and the Scala with labelmates Deafheaven. See all upcoming shows and purchase tickets HERE.